KCC members and some staff from our main sponsor The Poachers Pocket met on Thursday 31st to hand over a cheque for £4500 that was raised through the club at their annual charity event on the 21st August in Killinchy. 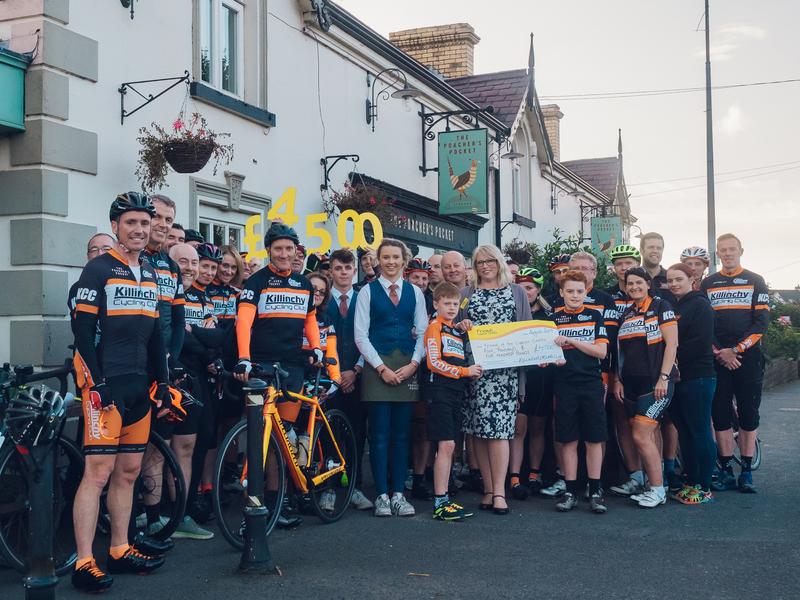 The club would like to thank all those who participated in the event, donated through the ballot and the helpers on the day, as it wouldn’t have been possible to raise this amount without the help of our cycling community and friends. Sunny evening for our 2nd Time Trial!